For a child learning to tell the time is difficult and that is before you introduce the 24-hour clock! When I heard about EasyRead Time Teacher and how their products can help children learn to tell the time I was very interested to see if they worked! Henry is seven in September. It feels like only yesterday I brought him home as a newborn. Now I’m pregnant with baby number two and it’s really highlighting how far he has come and developed. At the weekend, he started to read Harry Potter which is unbelievable to me. Last year he had only just started to read full sentences and now he can read full books. He is incredibly curious about the world around him and recently he has been talking a lot about time. He knows that a minute is 60 seconds so when I say to him ’10 minutes until bedtime’ He will tell me that is 60 ten times. At school they are briefly touching on this topic but we wanted to help develop this curiosity further- after all that is when children learn the most. To help encourage and develop his interest in the time we have been using a 24 Hour Wrist Watch from EasyRead Time Teacher. EasyRead Time Teacher help children learn to tell the time with their range of clocks, watches and alarm clocks. Henry adores watches despite not being able to fully tell the time. 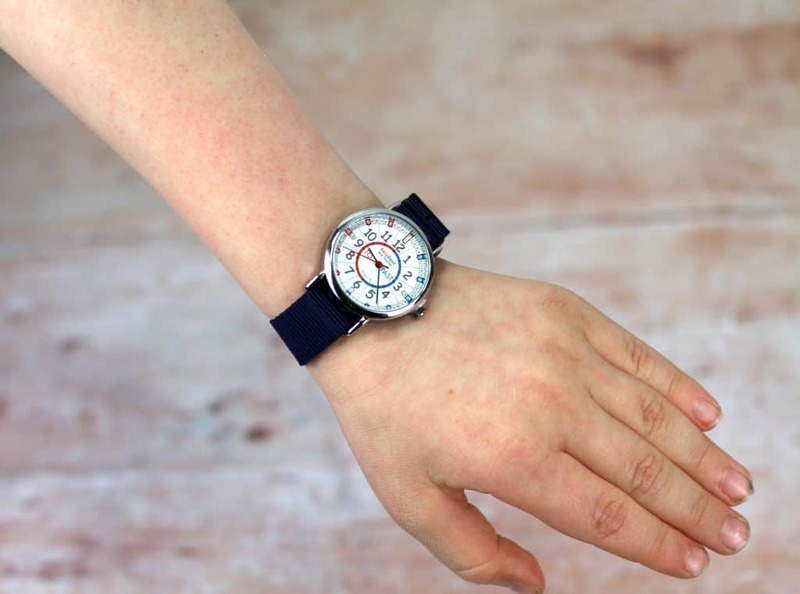 Having a wrist watch that is exciting to wear and can help children learn to tell the time is a great motivational tool. By repeating these steps and practicing it helps build that foundation. Once this pattern is established they will be reading the time all by themselves. Henry found the watch comfortable and fun to wear. 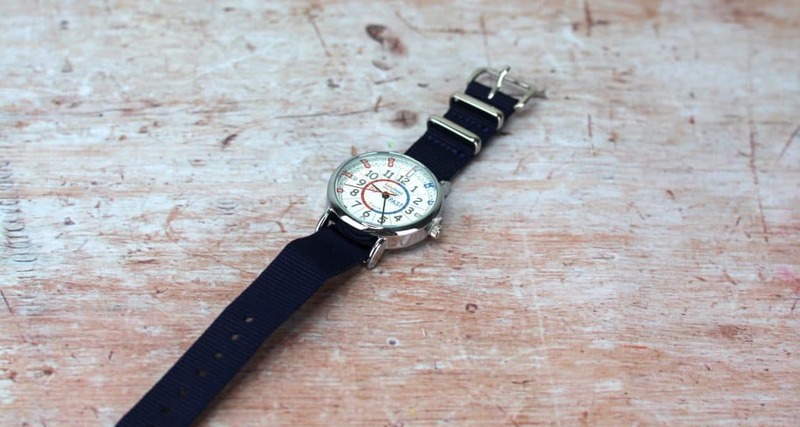 The watch isn’t too heavy so it doesn’t become a burden or chore to wear. I liked that the strap was coloured but everything else was quite calm. Watches that are heavily branded or have lots of features can distract a child and becomes more of a toy than a teaching aid. I think the product is well made and robust which is ideal being a product made for a child. When the watch first arrived, we didn’t push any time telling questions. I wanted Henry to get used to wearing the watch without feeling that it holds pressure or work. Once we began the 3 Step Teaching System Henry became quite excited. It took some repetition but throughout the day I will casually ask him what time it is and he is able to answer quite confidently. We have then progressed onto asking him to tell us when five minutes have passed or what the time will be in another ten minutes etc. Henry is beginning to understand and tell the time without even realising he is learning. I love this approach to teaching and find it is the most effective way for him to learn something new. 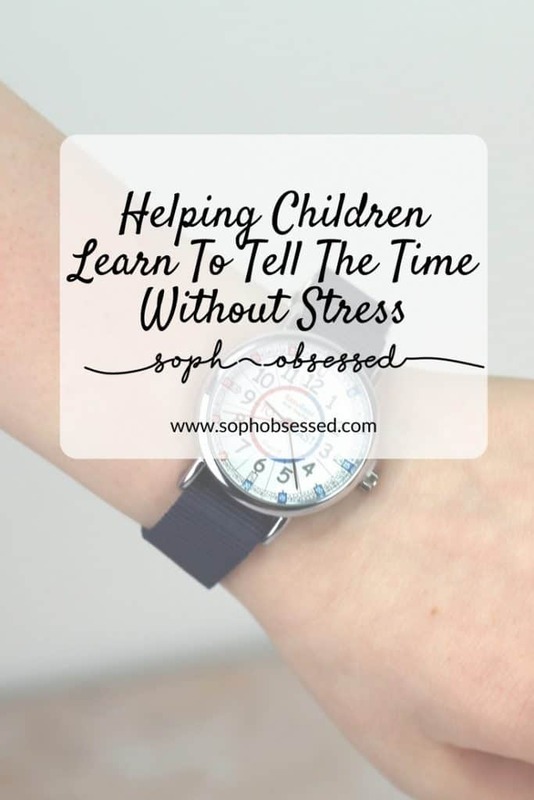 I think this method combined with the watch can help children learn to tell the time without pressuring or overwhelming them. The use of the watch means that you can incorporate small amounts of practice throughout the day wherever you are. 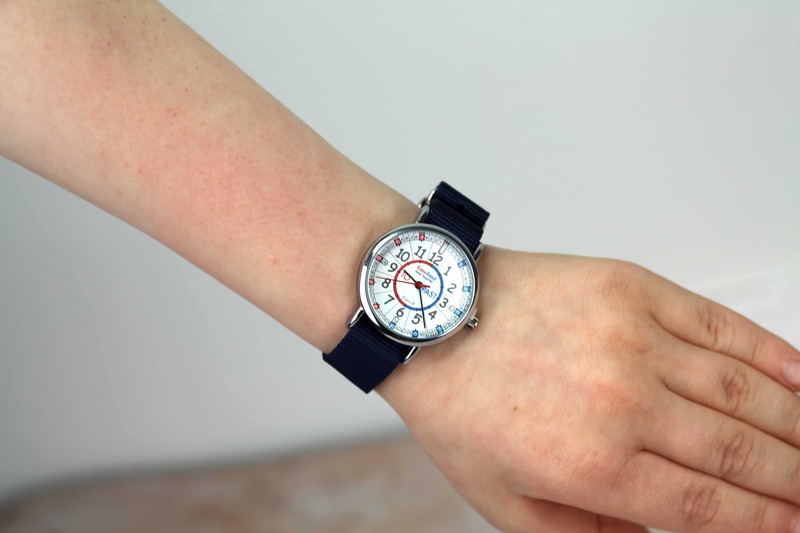 This wrist watch can be purchased alongside the other EasyRead Time Teacher products on their website here. Available with several different colour straps you are sure to find the perfect one for each individual child. Each watch retails at £19.95. 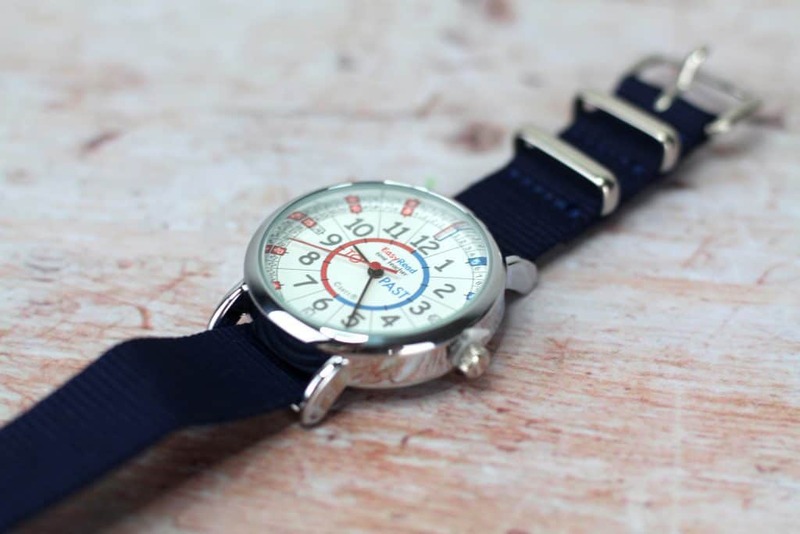 *We were kindly sent this watch in return for an honest review. As always words, opinions and views remain my own. If you’d like to know more about this please visit this page. We are currently teaching our son the time and it is very confusing for them isn’t it. This watch is a great idea to help them.